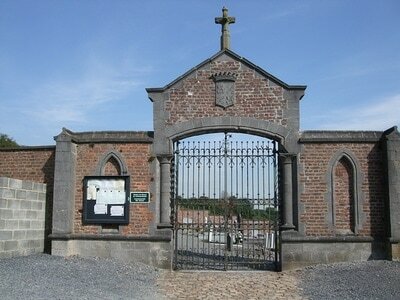 The village of Nouvelles is located south-west of the town of Mons off the N6. 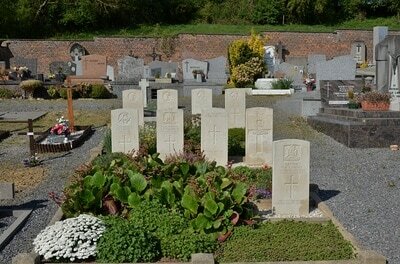 From the motorway E19/E42 turn off at junction 24a onto the R5 direction Nouvelles. Follow the R5 to the end and the junction with the N6, turn left onto the N6 direction Mons. Turn first right into Rue De Asquillies towards Nouvelles. 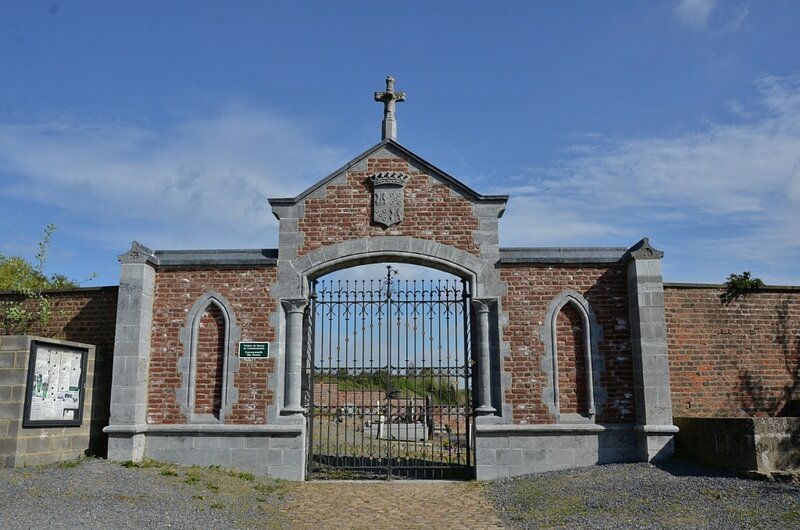 Follow this road into the village centre where it becomes Rue de Robersart. 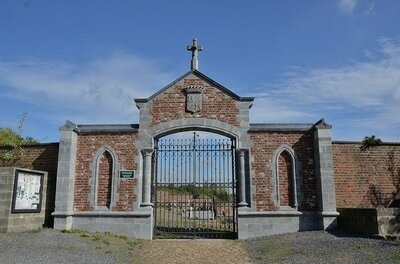 Pass the church (on your right hand side) and after about 130 metres, make a left turn into Rue Briffaut. 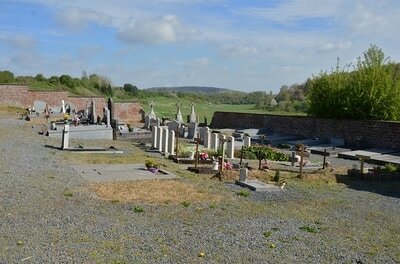 The walled communal cemetery is about 100 metres up on the right. The graves are located to the right of the main path. 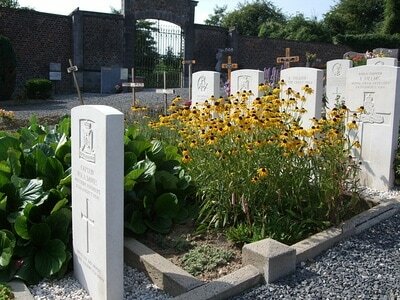 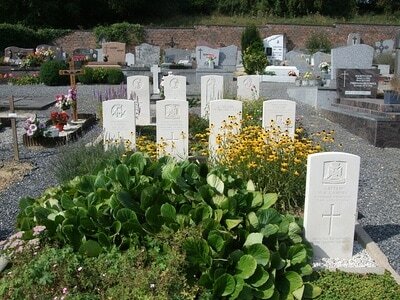 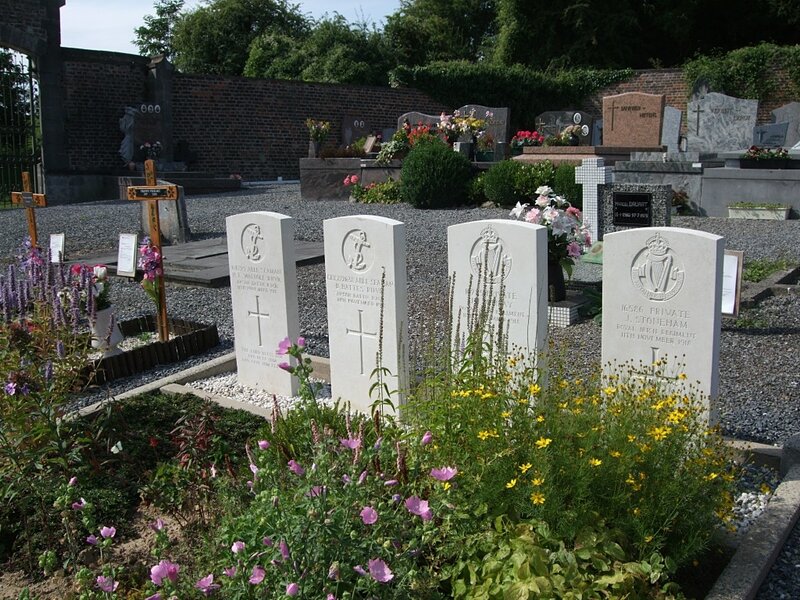 Nouvelles Communal Cemetery contains nine Commonwealth burials of the First World War, one of which is unidentified. 24th August 1914, aged 24. 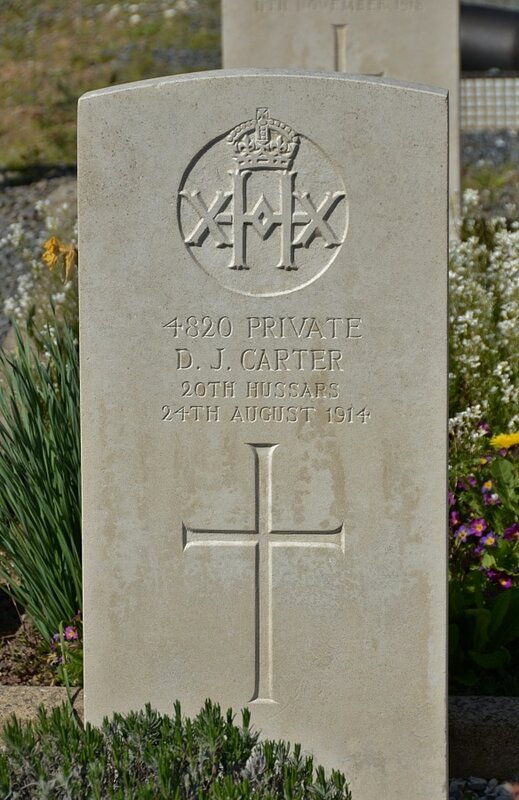 Son of George and Mary Ann Carter, of Cowhill, Thornbury, Bristol. 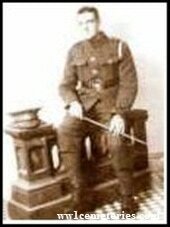 11th November 1918, aged 19. 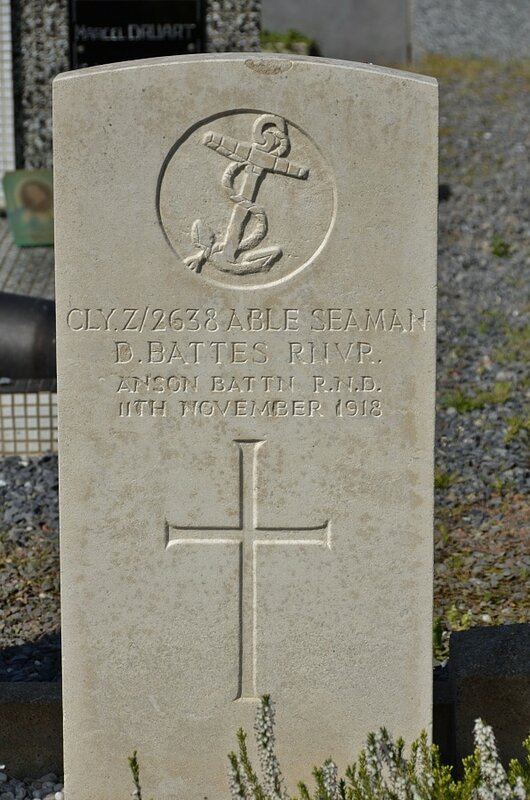 ClydeZ/2638 Able Seaman D. Battes, Anson Bn. R. N. Division, Royal Naval Volunteer Reserve, died 11th November 1918, aged 32. Son of Mr. and Mrs. James M. Battes of 28, Dura St., Erskine Place, Dundee, Scotland. Captain Walter Richard Aston Dawes, 1st Bn. 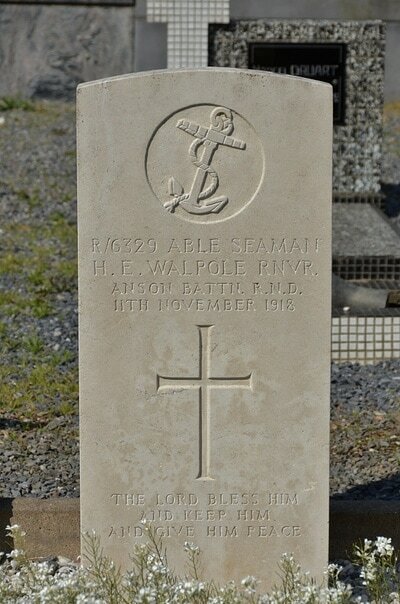 Wiltshire Regiment, died 23rd August 1914, aged 36. 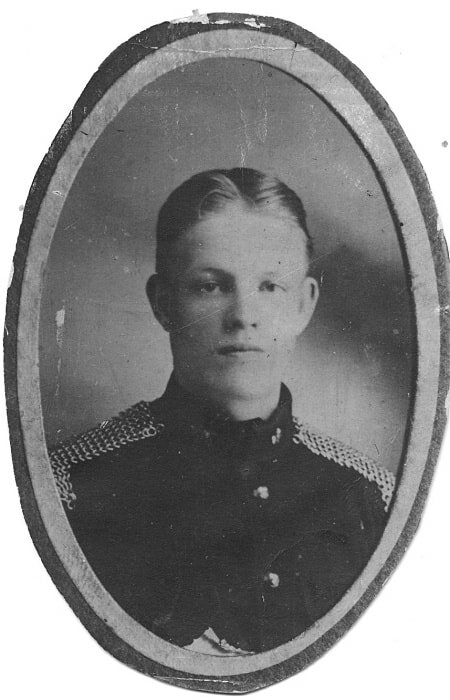 Son of Frederick Aston and Mary Isabella Dawes; husband of Muriel Gertrude Dawes, of Hilary House, 20, Mill Rd., Salisbury, Wilts. 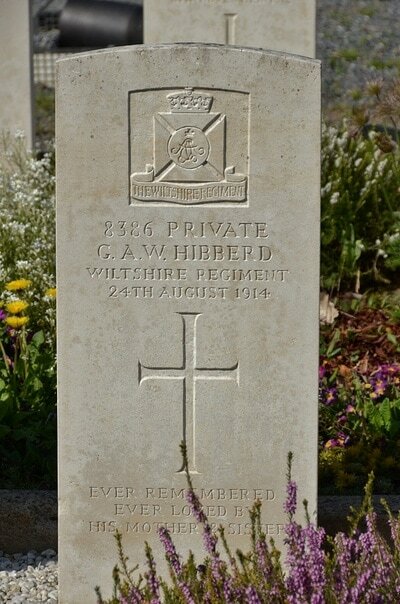 8386 Private G. A. Hibberd, 1st Bn. 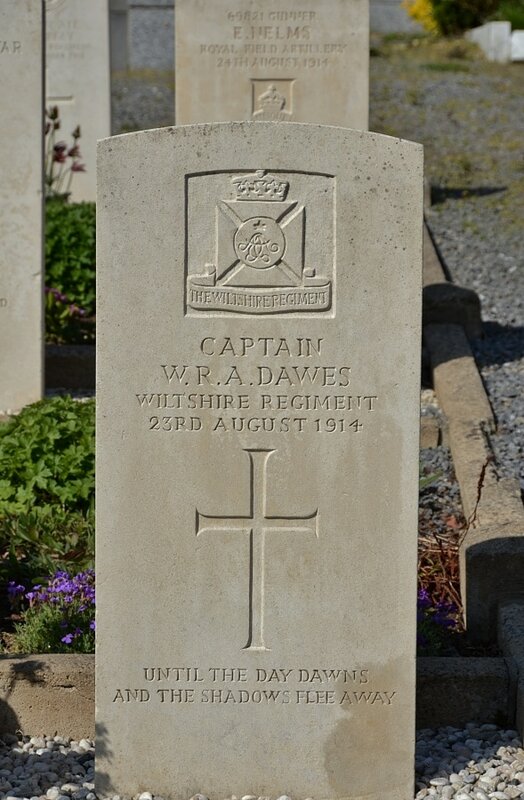 Wiltshire Regiment, died 24th August 1914. 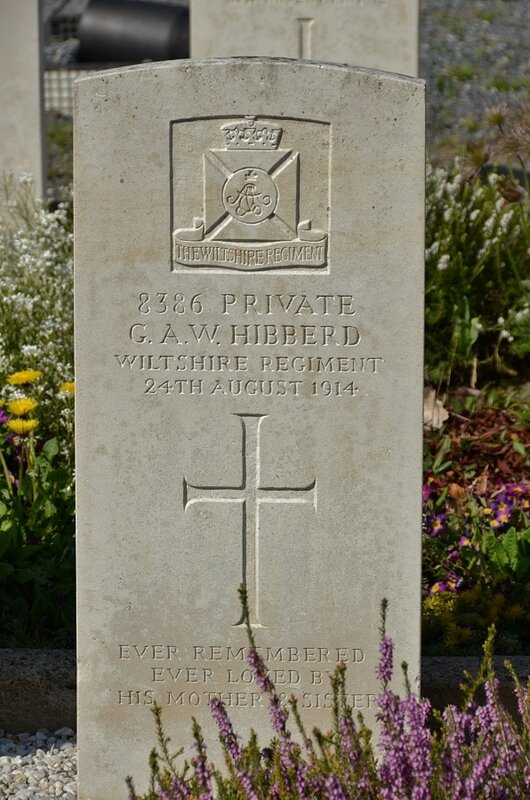 Son of Mary Hibberd, of 108, Warminster Rd., Westbury, Wilts. 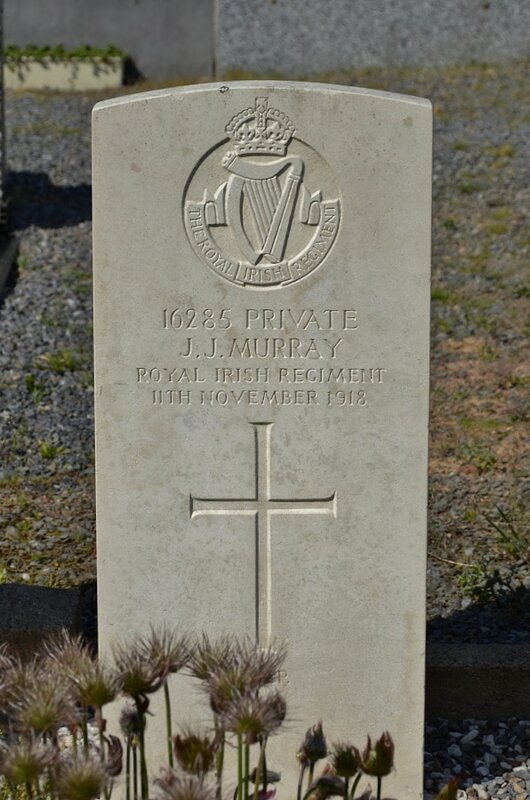 16285 Private John Joseph Murray, 2nd Bn. 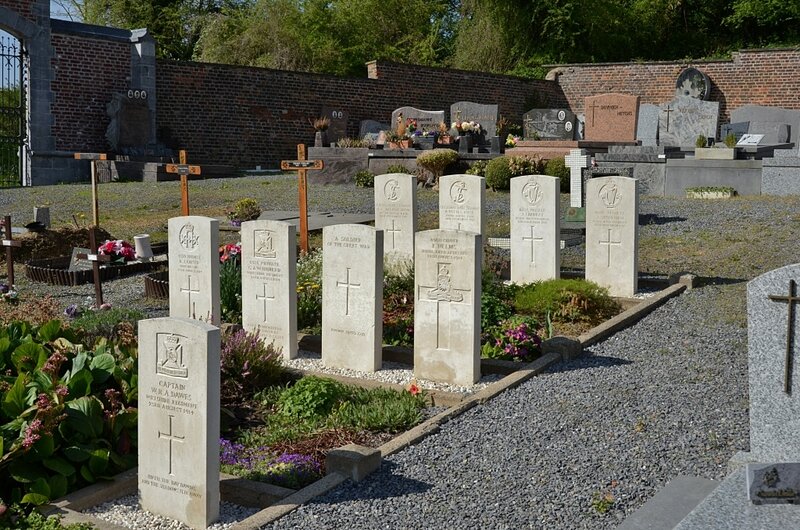 Royal Irish Regiment, died 11th November 1918. Son of John Murray, of Granard, Co. Longford. 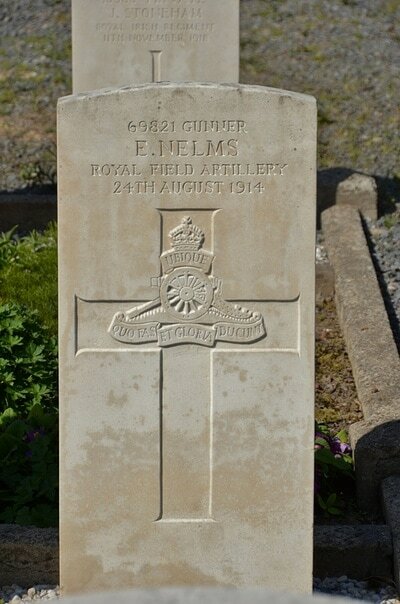 69821 Gunner E. Nelms, 29th Battery, Royal Field Artillery, died 24th August 1914. 16586 Private John Stoneham, 2nd Bn. Royal Irish Regiment, died 11th November 1918, aged 19. 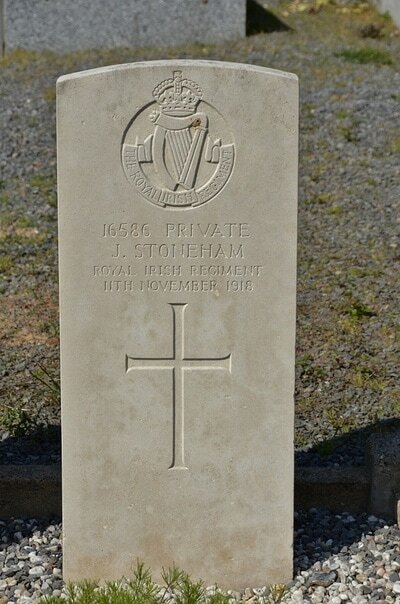 Son of Joseph and Sarah Stoneham, of 3, Railway Terrace, Blaengarw, Bridgend, South Wales.